This honey mustard beer glazed bratwurst recipe is a great way to take your favorite brats to the next level. One of my favorite things about summer is definitely that it’s grilling season. We’re big meat eaters, which just so happens to be my favorite thing to grill. 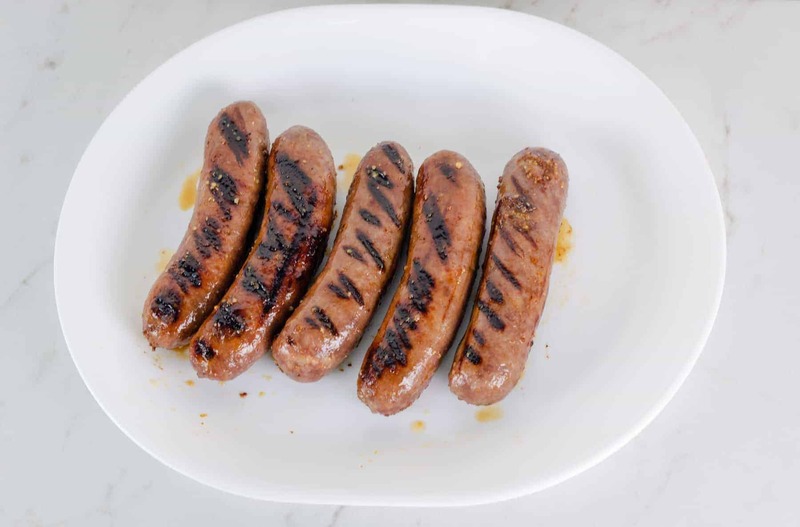 We almost always have brats in the refrigerator or freezer ready to grill because they’re quick and easy to cook and oh so juicy delicious. They’re also easy to eat in a variety of ways. 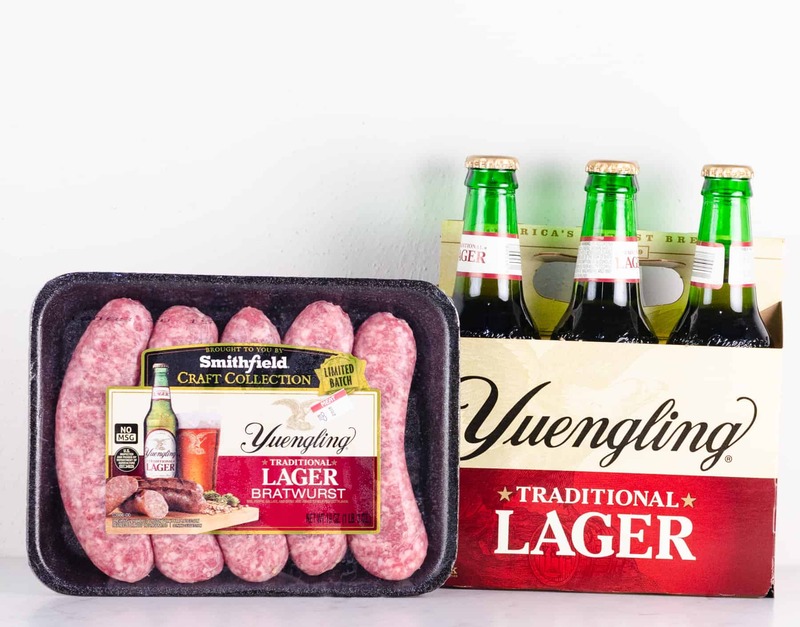 Last year I made some bratwurst kebabs with Smithfield® Yuengling® Traditional Lager Bratwurst. They were SO good that I’ve been impatiently waiting for them to come back for the season. I was super excited to see them back at our local Kroger this week. 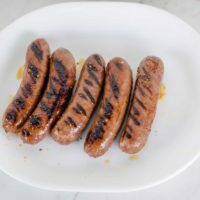 They’re great on their own but I decided to amp up their wonderful flavor even more with this Honey Mustard Beer Glazed Bratwurst Recipe. Why is Yuengling Lager one of our favorite beers? I think it’s rather cool that it’s the flagship beer from America’s Oldest Brewery. It also has a rich amber color which makes the subtle sweetness of the roasted caramel malt the perfect pairing with just about any grilled food. The beer and brats go together especially well and the honey mustard beer glaze just brings the flavors together even more. The honey adds just a hint of sweetness and floral flavor without being too strong. 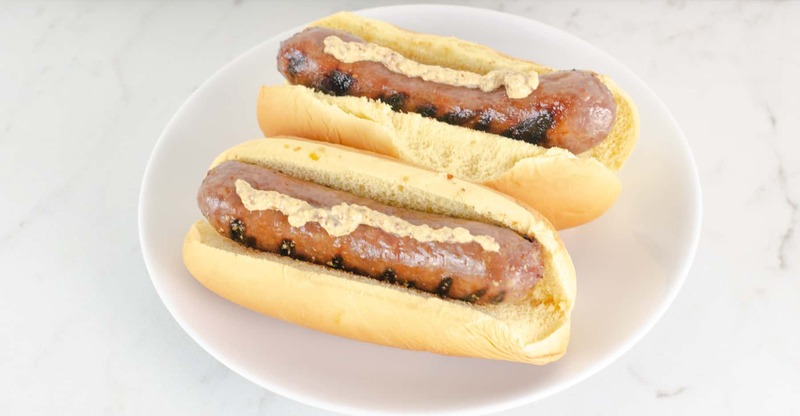 Mustard is another classic pairing with brats and I really like the extra texture the stoneground mustard in particular offers. The beer thins out the glaze while adding extra flavor, making for a great dipping sauce after the bratwursts are grilled if you don’t want to eat them in a bun. 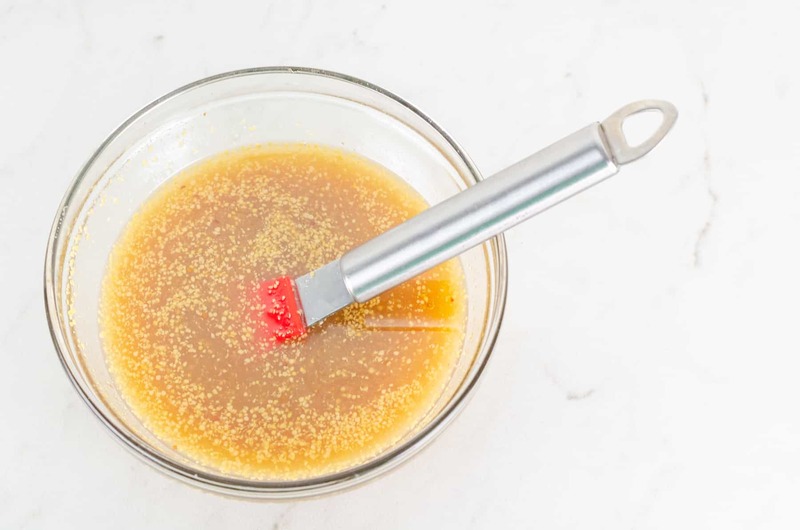 Spray your measuring spoon with non-stick spray before filling and the honey and mustard will release very easily with minimal cleanup. Keep a section of your grill clear so you can move the brats over so they won’t burn if you have a flare-up. Don’t start brushing on the glaze until the last several minutes of cooking time. Otherwise, it can burn. Since the glaze doesn’t touch the raw meat, any remaining glaze makes for a great dipping sauce. You can thicken it up by bringing it to a boil while the brats rest if desired. 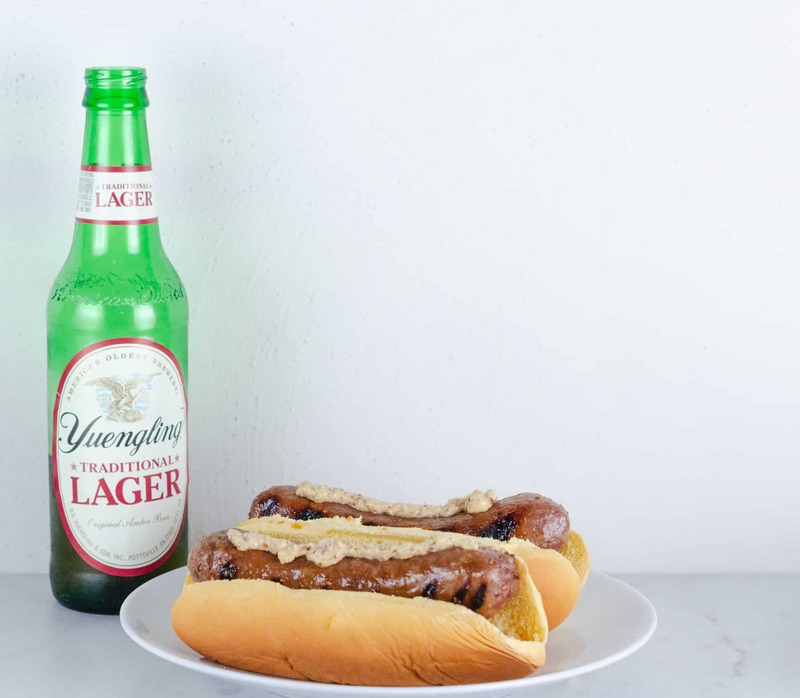 Here’s how to make the honey mustard beer glaze to go on the Yuengling Traditional Lager Bratwurst. Mustard and beer are already great with brats. Add in a bit of honey and brush over your bratwurst for an extra special meal. Gently pour the lager into a medium-sized bowl. Add in the mustard and honey. Whisk until honey has dissolved and mustard has been thoroughly incorporated. Once the grill is heated up, brush the grates with a light layer of high-temperature oil. Place the brats on the oiled grill and cook for about 4 - 5 minutes per side. For about the last 5 minutes of grilling, brush the honey mustard beer glaze on the brats, basting and turning frequently. Once cooked through, allow the brats to rest a minute or two on a platter. I also brush on a bit more glaze. Serve the brats on pretzel or potato buns with mustard or sliced with the leftover glaze for dipping. If you want it thicker you can bring it to a boil to thicken while the brats rest. This recipe can easily be doubled, etc. for large cookouts.